In the summer of 1998, David and Linda Flamm arrived in south-central Alaska with their three young children to work with SEND International. They moved to the Glennallen area where Dave began in the maintenance department, became supervisor and lead arriving volunteer teams. Linda coordinated the volunteer program. Over the last eighteen years they taught, discipled, mentored, encouraged and worked in aviation and A&P training. In their partnership with SEND North, Alaska Bible College and later Kingdom Air Corps, Dave traveled across Alaska to help missionaries and organizations with emergency building projects and needed repairs. Over time as they served in Alaska, the Flamms became aware of the need for a strong missionary and pastoral support system in the bush areas of the Far North. They felt passionate to support and encourage these front-line warriors and looked to the Lord for direction. When they became aware of Arctic Barnabas Ministries, a missionary support organization, God brought reality to the desires of their hearts. Their unique gifting corresponds with the needs of Arctic Barnabas and they rejoice for this opportunity to minister to those on the front lines. Both Dave and Linda grew up in Pennsylvania and they married in 1981. God blessed them with a son and two daughters. Their active church involvement led to a call to missions in 1991 and they began to explore mission possibilities. Dave, a journeyman carpenter, and Linda, a banker, knew they needed a fuller Bible education. They added classes through Reading Bible Institute, Moody Bible Institute and Alaska Bible College to their education. Their dedicated group of partnering churches and individuals bless them with support and prayer. 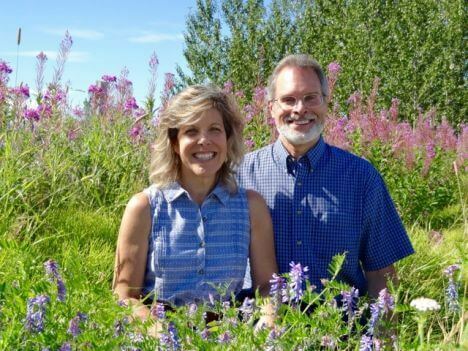 Dave and Linda’s adult children include their son, Jonathan, who works and resides in the Copper River Valley of Alaska and their daughters Juliana and Joy who currently live in the Soldotna, Alaska area.